New research published online at Perio.org and NIH.gov warn that gum health may be intricately connected to normal and healthy respiratory function. Specifically, studies show that the development of periodontitis (gum disease) may increase the risk of developing respiratory infections. Does gum disease cause respiratory complications? According to researchers, there is a correlation between gum disease and respiratory complications. Perio.org cites one study published in the Journal of Periodontology, explaining “periodontal disease may increase the risk for respiratory infections, such as chronic obstructive pulmonary disease (COPD) and pneumonia,” (Healthy Gums May Lead to Healthy Lungs, Perio.org). But how could a gum infection cause harm to the lungs? Another study, published by the National Institutes of Health (NIH), goes into further detail. “It has been suggested that dental plaque may act as a reservoir of respiratory pathogens,” researchers explain in the study, Periodontitis: A Risk Factor to Respiratory Disease. 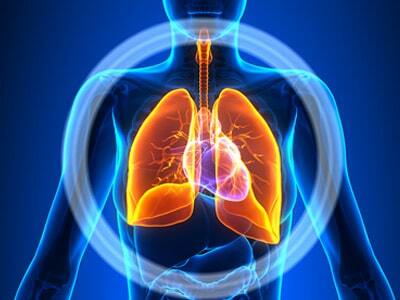 According to the researchers, one way oral bacteria may infect that lungs is through inhalation. The best way to prevent gum disease is through proactive gum care and regular dental check-ups. Schedule an appointment with Assure A Smile, Miami’s Home of Holistic Dentistry. At Assure A Smile, our caring team of dentists and hygienists helps patients understand how to care for their teeth and gums in a way that proactively builds holistic wellness and healthy gums for life. Call 305-274-0047 to schedule your next dental appointment today.